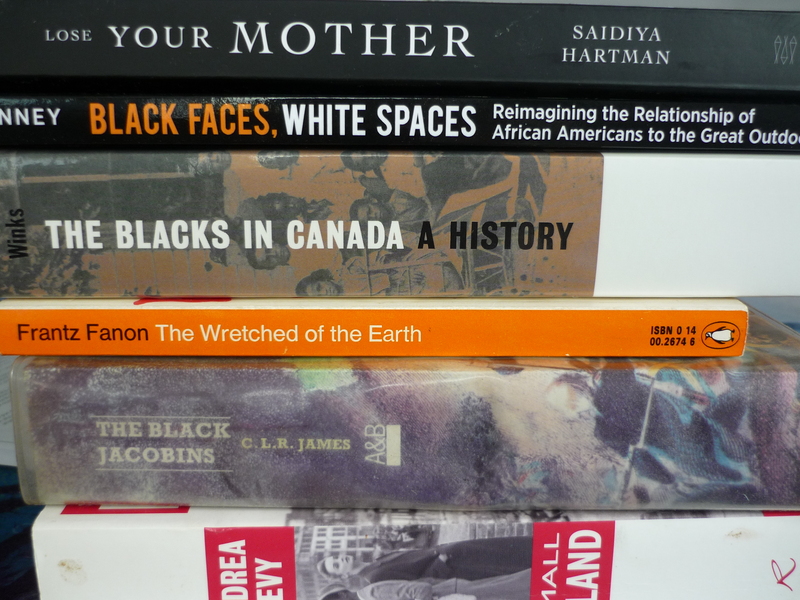 What’s citation got to do with politics, race and creating knowledge? I assumed that one simply cited the writers who were important to the essay one was trying to write. When your work is cited it means your knowledge is legitimate and valued. You have joined the academy. The more people who cite your work the higher the value of the work. Before drafting an essay you do a literature review. That is look up who has written on the topic, what claims they made and how your views are similar or different. The essay’s bibliography shows that you have done the necessary slogging through the books and journals. You have acknowledged and paid your dues to the other thinkers in the field. Creating knowledge, like every other human activity, is not neutral. Citations reflects who has the power in academia. That power is hidden behind claims that citation is simply showing the experts on the topic. The long list of references in an essay and in the bibliography creates the canon of the field. It encapsulates the writers who are the most influential. It is remarkable that those experts are still mainly white men and white women. What happens when other experts are left out of the citations? It is a good indication that their knowledge creation is not valued. This leads to some interesting questions. What do we mean by knowledge, how is it created, and who decides which knowledge is valuable and which is not? Here, I am more interested in the third question. I am not a philosopher, just prone to philosophizing. A few decades ago, not many women were cited in academic journals. The feminist movement upset the academic old white boys’ club by insisting that women’s experience, values and ways of knowing were legitimate sources of knowledge. The number of female thinkers cited shot up like a rocket. However, the space was unequally allocated. Black women were left behind or shoved off the rocket. In the world of citing women, it is white women (dead or alive) who dominate the references and bibliographies. How can knowledge creation be neutral when it mirrors the racial and gender hierarchy in society? As a PhD student I am being trained to create new knowledge. One day my research may be published in books and journals, and quoted in newspapers. Or, it could be completely ignored, buried in dusty academic journals that few read. Who will cite my work? Citations are powerful. I am now using them intentionally now to make space for Black academics and their expertise. Nelson Mandela once said ‘if you want to change the world, you must first change yourself.’ I am doing so by challenging the white-bias-but-passing-for-neutral citation status quo. That means finding, reading, quoting and citing the long and rich tradition of Black intellectual thought. I’m so on the ball with this, I made it clear in the beginning that I wanted to cite experts who are from my case study countries in West Africa. However, I then get the “you’re using literature that is not recognizable” So, I have to use those who managed to “make it through” to a Western university and is officially recognized by the powers that be. Unless of course, I want to take an argumentative position and say that all these well known scholar from Europe and North America do not what they are talking about, and here is an alternative view. That in European higher ed is not encouraged among PhD students. (1) 50 Places: A Black history travel guide to London. (2) Sailing on a Half Moon. (3) Heartbeats in Africa: A memoir of travel and love.